Headed to Disney soon? Whether you are days away or months out, you still have a chance of getting Be Our Guest dinner reservations. 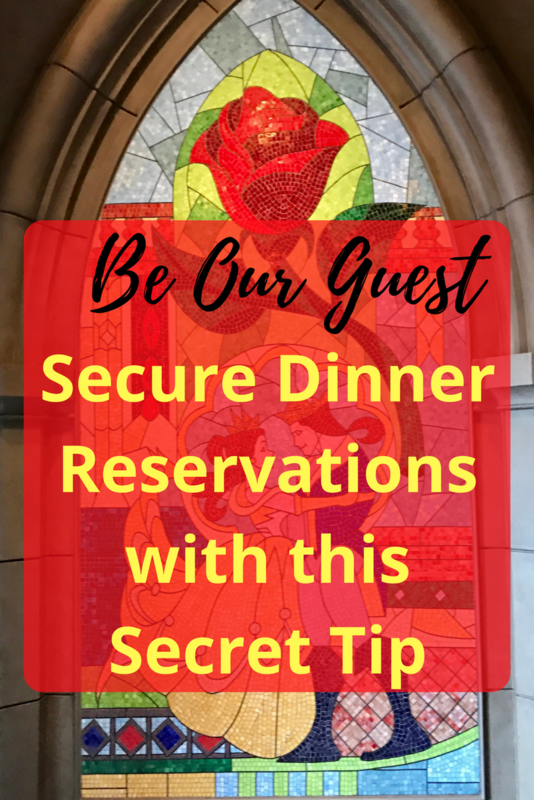 This Beauty & The Beast themed dining option is infamous for being one of the hardest dining options to secure. Breakfast and lunch are fairly easy to reserve, but dinner is next to impossible if you don’t know the secret tips. 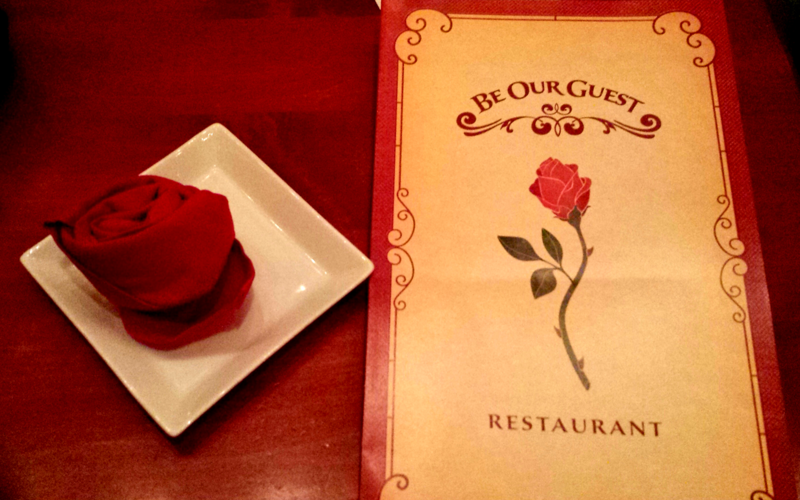 What is so magical about Be Our Guest restaurant? Disney fans will love the Beauty and the Beast themed rooms presented in a way that only Disney can deliver. As soon as you venture into the castle ahem, restaurant, you will feel as though you have walked onto the movie. 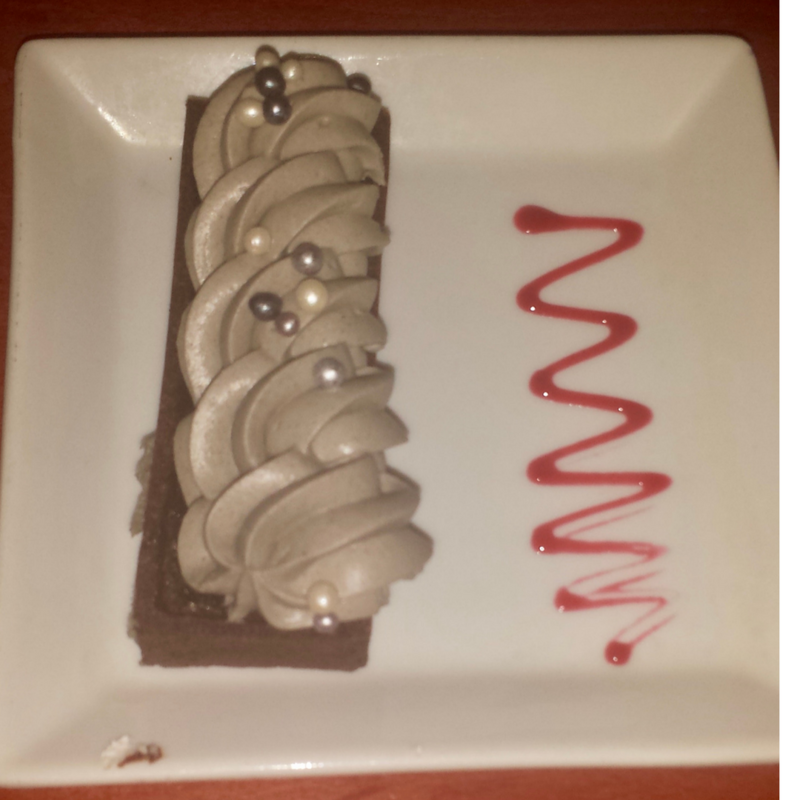 Taste “the grey stuff” from the “Be Our Guest” scene in Beauty and the Best. Also, dinner is the only time Beast makes a character appearance. And, some menu items are only available during dinner. I have been fortunate enough to get reservations a few times now. Each time I used a different approach. Below are the ways that have worked for me. 1) If you have a few months to plan your trip, you are in luck! You can book dining reservations up to six months in advance. If possible, get up very early on exactly six months before you leave and snag reservations. Don’t have time for that? Don’t worry. The next tip will take care of that for you. 2) MouseDining.com: This rarely heard of site is the best chance of getting hard to reserve dining at Disney World. Sign up for FREE to get alerts when dining reservations become available. I tested this and it won us reservations at Be Our Guest! Now – you may not be the fastest the first few times but don’t give up! It took three times before I successfully placed reservations. Bookmark the restaurant pages on your personal computer and phone browser. When my husband and I got the exact same alert, I was able to get the reservation faster on my computer than he was on the phone. Create alerts for several different time slots. For the free version, you can only get alerts for so many time slots and you will get an alert within a one hour window. 3) The week before and the week of a trip surprisingly tend to show a lot more openings than months out. Check Disney daily for major changes in availability. You can even test this by checking for available reservations this week compared to availability six months away. 4) Call Disney. You may be surprised that this can actually work. They can see if an opening is available and if you are flexible on a time, you might get lucky. This has worked for me but I have only tried it once. If you are celebrating something special, be sure and let them know. This may help your chances! This can work well because many people simply will not pick up the phone to try this. If you are able to get reservations, be sure and leave a fantastic review after your phone call. I was in line to ride “Under the Sea – Journey of The Little Mermaid” when I called. I made sure to stay on the call for the follow up survey during the ride. It was not the most convenient time to complete a survey but it didn’t take long at all! Hopefully the cast member is encouraged to go the extra mile for future guests. 5) Wait in line and ask. You can always ask the hostess if there are any last minute cancellations. I have not personally tried this but I have heard success stories from other travelers. If you don’t get dinner reservations this time, breakfast and lunch are less expensive and you can sit anywhere in the castle. 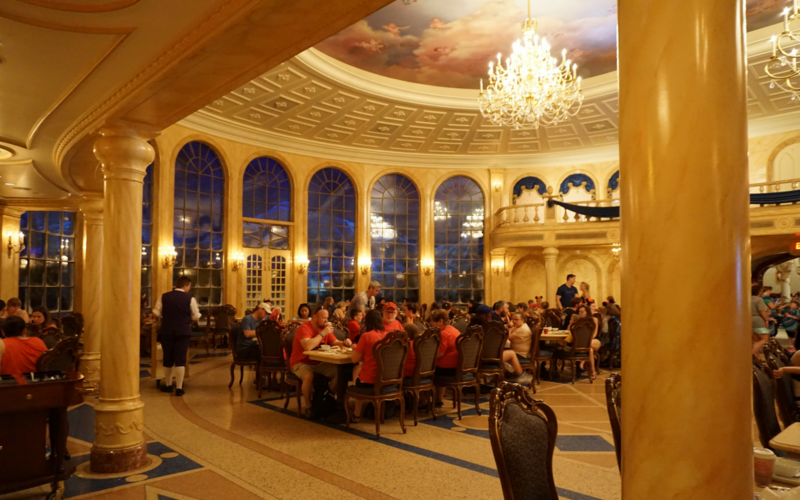 At dinner, seats are chosen by the hostess (although you are still free to walk around to each room for pictures). Plus, you can use a Quick Service dining credit during breakfast and lunch…how awesome is that?! Have any of these methods worked for you?